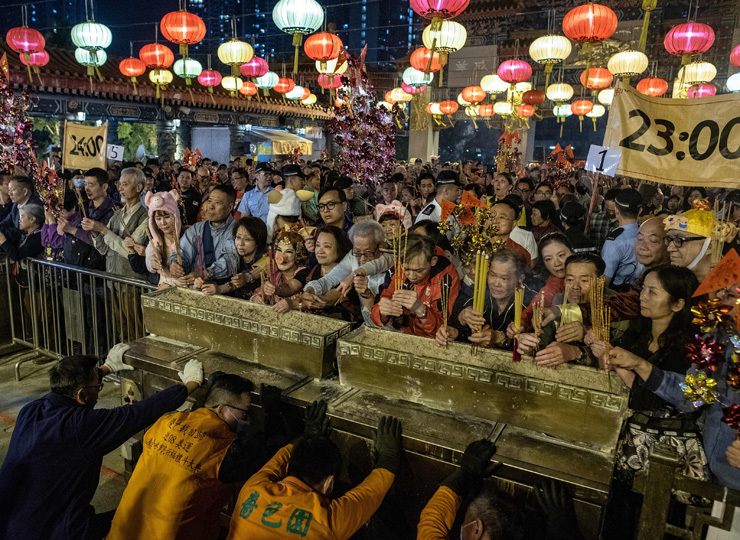 Chinese communities around the world welcomed the Year of the Pig on Feb. 5, ushering in the Lunar New Year with prayers, family feasts and shopping sprees. In mainland China, hundreds of millions of people had crammed into trains, buses, cars and planes to reach family and friends in the world’s largest annual migration, emptying the country’s megacities of much of the migrant workforce. Celebrations took place across the globe, from Southeast Asia’s centuries-old Chinese communities to the more recently established Chinatowns of Sydney, London, Vancouver, Los Angeles and beyond. The most important holiday of the Chinese calendar marks the start of the 15-day Spring Festival, when families wrap dumplings together and exchange gifts and red envelopes stuffed with money. Pigs symbolize good fortune and wealth in Chinese culture and this year’s holiday brings a proliferation of porcine merchandise, greetings and decorations. The Spring Festival travel season, or Chunyun, which started 15 days before the Lunar New Year, will see China’s masses on the move, chalking up some 3 billion journeys over around 40 days, Chinese state media reported.